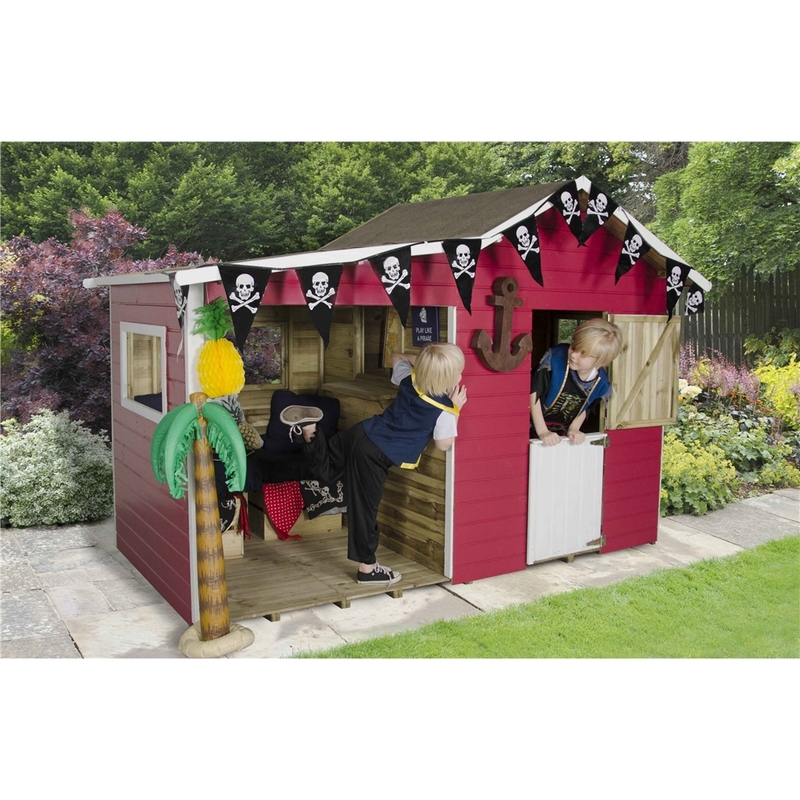 The Basil multiplay playhouse is an attractive and fun addition to your garden. 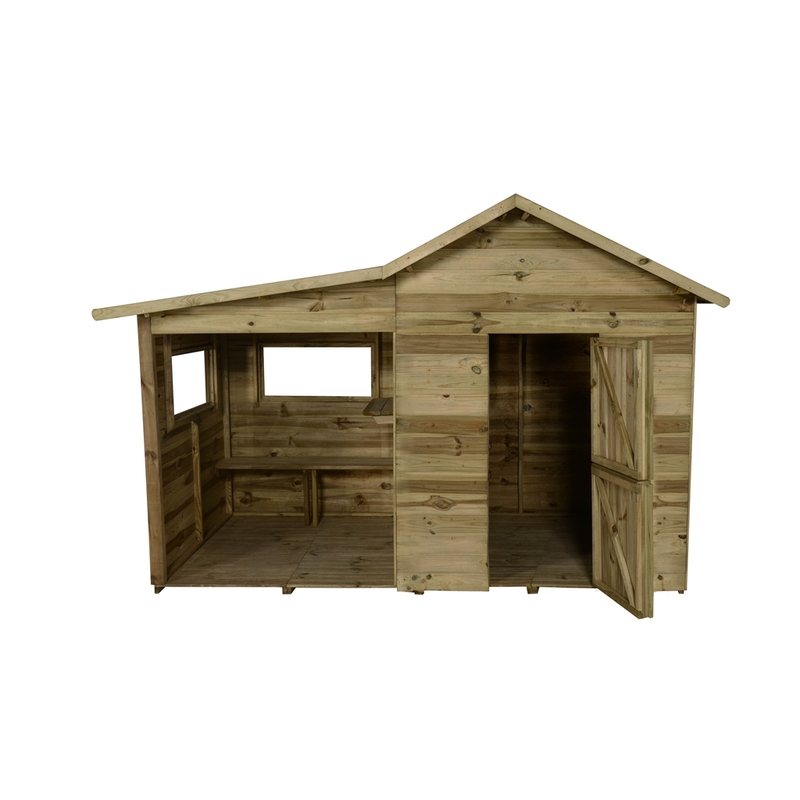 It features an adjoining decked verandah and a stable door. 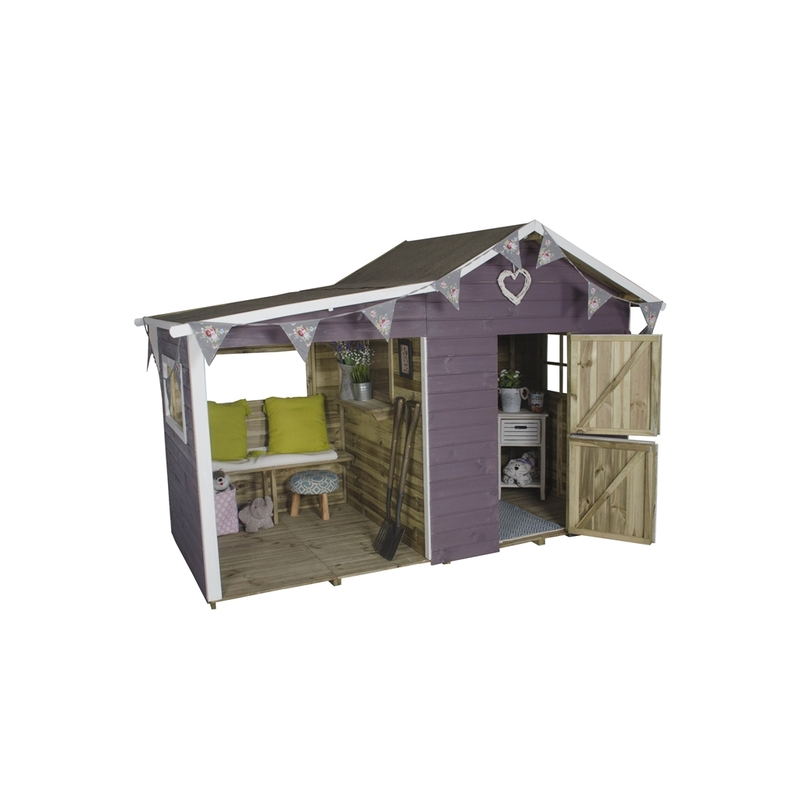 The playhouse is fully enclosed and has fixed styrene windows and an opening hatch. 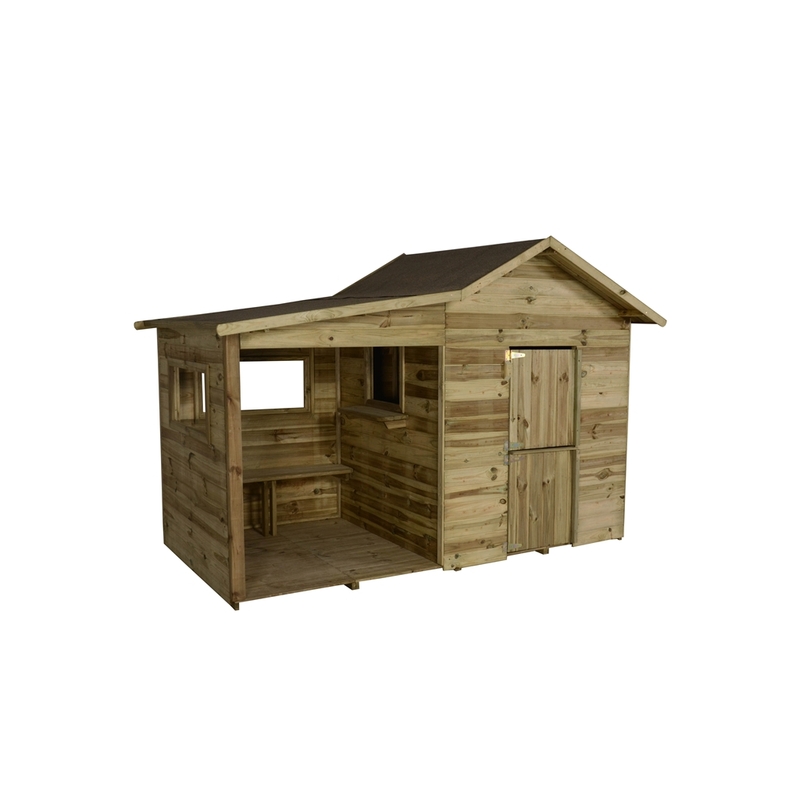 The playhouse is built from top quality pressure treated tongue and groove and is made completely safe with rounded corners and safety door hinges.